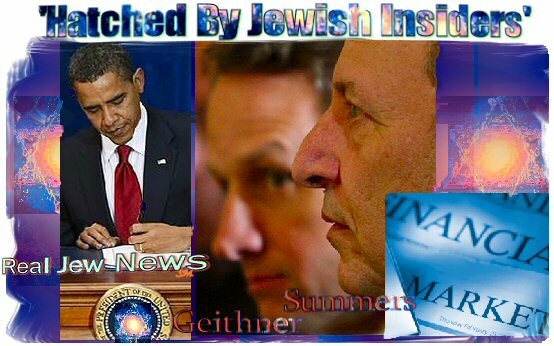 Timothy Geithner: Treasury Secretary - Jewish. Steven Rattner: Treasury Advisor For Auto Sector - Jewish. Larry Summers: Economic Advisor to the President - Jewish. Robert Rubin: Economic Advisor to the President - Jewish. 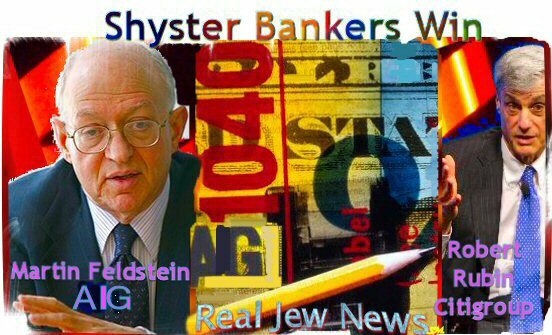 Alan Blinder: Economic Advisor to the President - Jewish. Jason Furman: Director Of Economic Policy - Jewish. Peter Orszag: Head of Budget - Jewish. Jon Leibowitz: Chairman Of FTC - Jewish. See Even More Jewish Advisors Here. Rahm Emanuel: Chief of Staff - Jewish. David Axelrod: Senior Advisor to the President - Jewish. Ronald Klain: Chief of Staff to the Vice President - Jewish. See Even More Jewish Administrative Staff Here. Obama’s stimulus plan is short on creating sustainable jobs & long on social goals that will not impact positively on economic activity. Obama’s stimulus is unfocused & spreads a lot of money around on social programs that will have no lasting impact on the American economy. The thrust of tax-payers’ money will be used to fund not only social programs, but government-financed health care, education programs for the poor, digging ditches & rebuilding bridges, (how long can these jobs last? ), and so-called green initiatives. 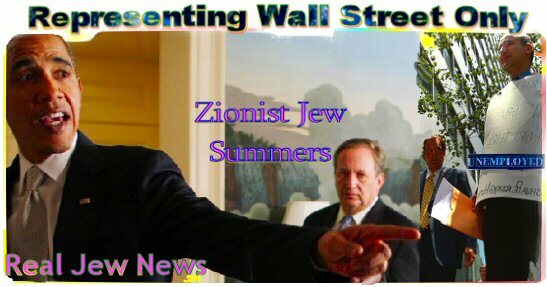 AND MOST ALARMING OF ALL - Obama’s Stimulus bill gives a whopping $1 billion to Jewish social service providers who already are oozing in Jewish wealth. In short, Obama’s stimulus plan will only delay the inevitable day of reckoning for the American people. View Entire Story Here & Here. Obama’s stimulus is a classic bait-and-switch. Once the highways are built and social-service case loads have increased, American tax payers, (what’s left of them who will have any income to pay taxes from), will be stuck with the bill to pay for and maintain the new roads and services. Obama’s stimulus is also a bait-and-switch on employment. While the stimulus package creates federal and construction jobs, once the money runs out, those workers will lose their jobs. Even worse, most of the money is actually allocated for bailing out failed state and local governments. Then, after $135 billion in the federal aid gets spent, many states will be staring down budgetary black holes unless they initiate dramatic spending cuts by which many jobs will be eliminated. Read Scott Walker’s Analysis Here. AND WHO ARE THE WINNERS? 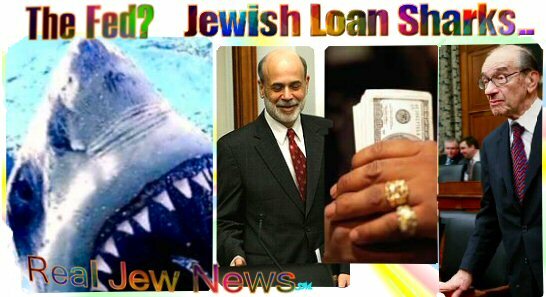 The Jewish loan-sharks who own the private banking consortium known as the Federal Reserve System and who enter billions of dollars out of thin air in their books and CHARGE INTEREST on their LOANS. BUT WHO ARE THE LOSERS? Hard working and willing-to-work Americans are the losers and will lose even more once the Jewish-owned Fed comes collecting for funding (with interest) Obama’s stimulus bill. I appreciate your articles & videos very much, my finances are very tight otherwise I would donate to you. Thank you so much for opening my eyes to the truth as to what really is going on in the World. I am a very religious person & I believe we are living in the last days of this age & soon God will usher in His Kingdom with Jesus The King of Kings. I would love to have your permission to re-produce & post your very informative articles & videos. 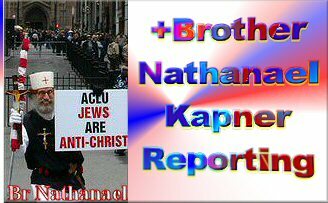 Thank you so much for your hard work & may God Bless & Protect you, Brother Nathanael.